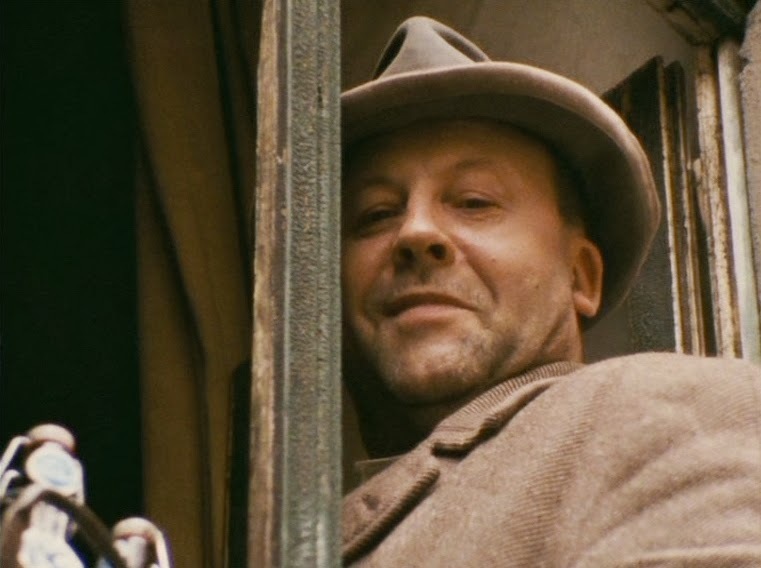 In 1978, Fassbinder was offered the chance to bring Döblin’s fantasy to life in a television adaptation of his beloved novel. He was 33 years old, and had been directing films for barely a decade, but he already had almost forty credits – consisting of shorts, features, TV-movies and serials – to his name. His astonishing work rate was fuelled by a seemingly insatiable artistic hunger and whatever drugs he could get his hands on, and now he was approaching the apex of his career. When he found himself with a few months free before production on Berlin Alexanderplatz could begin, he decided to squeeze in a “quickie,” The Marriage of Maria Braun, which turned out to be his greatest commercial success. He was now being handed an enormous budget (the biggest in the history of German television, at the time), 15½ hours of broadcasting and unlimited freedom to present a deeply personal take on Döblin’s work. The wunderkind of German cinema was about to make his magnum opus.